Calcutta: BJP leader Mukul Roy on Wednesday issued a counter legal letter to Mamata Banerjee's nephew Abhishek Banerjee, demanding the withdrawal of the Trinamul MP's notice and a written public apology within seven days. Roy's legal counsel, Som Mandal, held a news conference in Delhi to make the notice public. The notice was issued in response to Abhishek's legal notice to Roy on Monday, demanding an unconditional public apology in 48 hours over the BJP leader's "malicious and defamatory" statements. Roy had alleged that Biswa Bangla was not a government brand but a company owned by Trinamul Youth Congress president Abhishek. Mandal's 10-page letter, along with a 54-page annexure, was addressed to Sanjay Basu, Abhishek's lawyer. Roy's notice denied and disputed all allegations by Basu. In a statement issued later on Wednesday, Basu said Mandal's notice merely dealt with the purported basis of the statements and not the intention or the actual meaning. 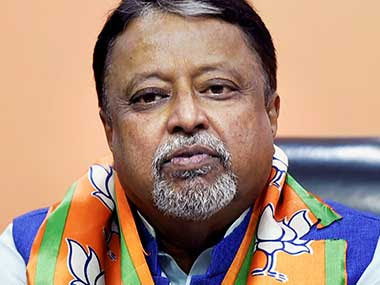 BJP leader Mukul Roy on Wednesday issued a counter legal letter to Mamata Banerjee's nephew Abhishek Banerjee, demanding the withdrawal of the Trinamul MP's notice and a written public apology within seven days.